A festival showcasing the full spectrum of traditional and folk music in some of Dublin City's most unique venues. 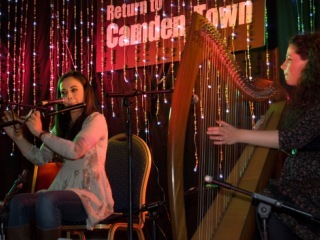 Feel every note at the 10th Temple Bar TradFest from 28th January to 1st February 2015. The 5-day Temple Bar TradFest is an annual traditional Irish Music and Cultural Festival, taking place the last week of January every year in Temple Bar, Dublin, Ireland. 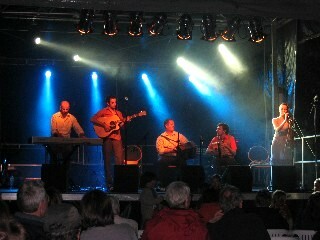 The purpose of the festival is to promote Irish musical traditions. 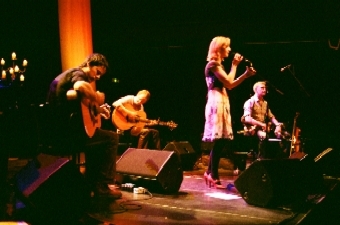 The first Temple Bar TradFest took place in January 2006. It was set up because while Dublin and Temple Bar are associated with music and culture, Dublin was lacking a festival solely for traditional Irish Music and Culture. This folk-rock-pop troubadour exploded onto the scene in 1965 and went on to attain legendary status. This is a performer who can truly be regarded as a member of the British rock aristocracy. From folk to psychedelia through pop and back again, Donovan re-shaped the musical landscape with a rare individuality and utterly unique repertoire. His is an enviable back-catalogue that remains as relevant and vibrant today as any contemporary artist’s. Astonishingly, between 1966 and ’69 he racked up a string of eleven top-forty hits in a row. 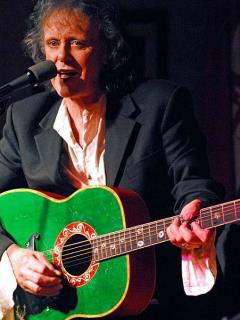 Songs such as ‘Jennifer Juniper’, ‘Mellow Yellow’ and ‘Hurdy Gurdy Man’ have embedded themselves in the popular psyche. It’s actually difficult to imagine them not existing. Over the course of his extraordinary career he has shared the stage with innumerable titans of modern music, including Bob Dylan, Joan Baez, Jimmy Page and the late great Pete Seeger. Inducted into the Rock & Roll Hall of Fame in 2012 and The Songwriter’s Hall of Fame in 2014, the recognitions of his singular contribution are endless. We are delighted that this giant of the Irish-Scottish traditional music world will headline the tenth-anniversary TradFest Temple Bar with a hotly anticipated performance on Saturday, January 31st in the suitably stunning surrounds of Dublin Castle. Unmissable! Sweeney’s Men have often been described as a seminal influence on the revival of folk music in Ireland and abroad in the ’60s, ’70s and beyond, paving the way for all who would follow in their trad footsteps. When Johnny Moynihan and Terry Woods reunited for Andy Irvine’s birthday gig in 2012 they rediscovered their joy for live performance and haven’t looked back since. Expect to hear their trademark interplay between mandolin and bouzouki. Expect to be moved and charmed by some of the best in the business! For over a decade Beoga have toured the world, headlined major festivals, won numerous awards, performed at the Last Night of the Proms and produced four critically acclaimed albums. Their 2009 release ‘The Incident’ was Grammy shortlisted for Best Contemporary World Music Album. The very definition of radical trad – not to be missed! Cara Dillon makes music that transcends genres and crosses barriers. While she is an accomplished trad musician, she is no purist, making music that reaches beyond the constraints and limitations of tradition. “To me, you can go anywhere with every song. The melody and message is at the forefront of everything I do. I don’t really care where the song came from, how old it is, and who did it first. It’s whether it strikes a note in my heart, does it haunt me, do I need to sing it?” Raised in the small village of Dungiven, Northern Ireland, Cara has been singing all her life. After a five year hiatus she returns (along with husband and collaborator Sam Lakeman) with her most engaging collection of songs yet. 25 years on, Brighton folk-rock band Levellers make music that is as vital and insightful as ever. The band released their tenth studio album ‘Static On The Airwaves’ in 2012, their second produced by Sean Lakeman. Static On The Airwaves is unquestionably their most mature and considered release to date and is an album rich in reasoned clarity and insightful observance of the world in which we currently live. Levellers have long been and still are, one of the best live bands around but, often overlooked is their impressive back catalogue of recorded music. 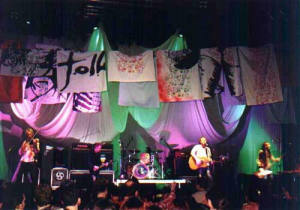 The Levellers sold more platinum, gold, and silver albums in the 1990s than any other act. Their platinum-selling 1991 album Levelling The Land, which is widely regarded as an absolute classic, features hits including One Way, Riverflow, The Game, Far From Home and Liberty Song. This show will feature an acoustic set. With glowing reviews for the evocative lyricism and cinematic musical depth of her 2012 album “Traces”, Scottish singer-songwriter Karine Polwart will be playing a raft of songs from the album and some live favourites at all her dates in 2014. Karine draws from folk music’s long tradition while keeping pace with the ceaselessly changing times. Her talent for crafting unique, enduring melodies, her gift for saying just enough without overstating her case, the range and dynamism of her arrangements, all come together in songs of powerful contemporary relevance. She also has the purest and most approachable of singing voices, drawing the listener towards her in the same way one might lean towards a late night tale by the fireside. The only musician ever in the history of Comhaltas Ceolteóirí Éireann to have won four All-Ireland titles on the same day, Louise Mulcahy first appeared a number of years ago on a compilation of young pipers entitled ‘A New Dawn’ released by Na Píobairí Uilleann. 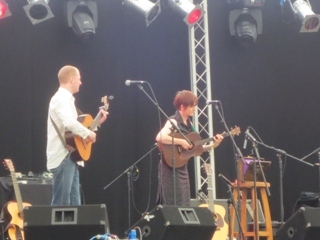 Born in Abbeyfeale, Co Limerick Louise is now a well-established performer and tutor. She has travelled extensively in both capacities, as both performer and teacher of the tradition, appearing at some of the biggest national and international music festivals throughout Asia, New Zealand, Australia, Europe, America and Canada. Louise has also performed at many Uilleann Piping events including The North East Coast Piping Tionól and The Chris Langan Piping Tionól in Toronto. She has appeared on numerous television and radio programmes in Ireland and abroad and has also presented the traditional Irish Music series “Geantraí” for the Irish language television station TG4. She has been described as …’a gracious and brilliant talent’. 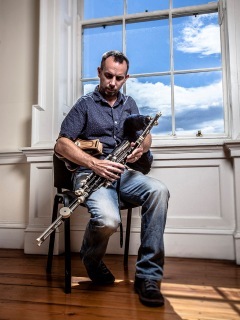 Born in Tralee, Co Kerry and raised in nearby Kilmoyley, Leonard began his musical tutelage at the age of eight under the guidance of his Uncle Bert O’Brien and dedicated himself to mastering the Uileann pipes aged 15. 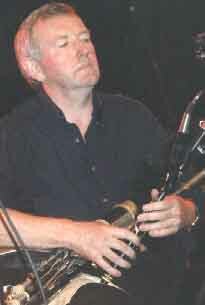 While North Kerry is not known for its piping tradition, people such as Paddy Keenan and Liam O’Flynn quickly became strong influences upon Leonard’s playing. He has been described within the pages of The Irish Times as …’a piper with an eye for cut-glass detail, he etches out a tune with enviable precision…’. Legendary uilleann piper, Liam O’Flynn, a founder member of iconic traditional band Planxty, brings together a quartet featuring the cream of Irish traditional musicianship. Pianist and composer Mícheál Ó Súilleabhain has redefined how Irish traditional music is played on piano with his lyrical and inventive touch. Fiddle-player Paddy Glackin needs little introduction to lovers of Irish music. A Dubliner with Donegal ancestry, he was a founder member of famed traditional ensemble The Bothy Band. Completing the quartet is Belfast-born cellist, Neil Martin, a fine uilleann piper and composer in his own right. 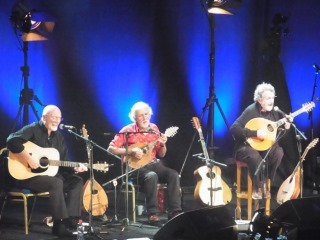 Their St. Patrick’s Cathedral concert marks only their second appearance in Ireland since they came together in late 2013 to celebrate twenty five years since the foundation of the Irish Traditional Music Archive. This could be a religious experience! Waterford’s own Danú have been said to make music that ‘…stirs the blood and lifts the heart.’ Mixing ancient Irish rhythms with an original repertoire, their sold-out shows have become the stuff of legend. This highly respected ensemble of virtuoso players have performed all over the world for more than a decade, delighting audiences from The Hollywood Bowl in Los Angeles to the Symphony Space in New York City. Live, they transport their audiences on a musical journey of their native land with glorious and immersive concert experiences. Feel every note! Photo Credits: (1) Temple Bar TradFest logo (by Temple Bar TradFest); (2) Donovan, (3) Sweeney’s Men, (9) Leonard Barry (unknown/website); (4) Beoga, (6) Levellers, (11) Danú (by Walkin' Tom); (5) Cara Dillon (by Adolf „gorhand“ Goriup); (7) Karine Polwart (by Holger Brandstaedt); (8) Louise Mulcahy (by Sean Corrigan); (10) Liam O’Flynn (by The Mollis).